One of the most interesting facts surrounding the world of addiction treatment, which of course includes sober living and recovery housing, is the fact that new information is always emerging. It is an ever-changing industry that constantly remains on the forefront of modern medicine, both on a physical and psychological level. At the same rate however, many of the most commonly used approaches also involve time-tested philosophies such as NA and AA. While it is becoming more and more common for drug addicts & alcoholics to utilize the services of recovery homes, there still remains a need for traditional residential treatment for those who need the absolute highest level of structure. But for those without hands on expertise, how do they know which direction to go with this? 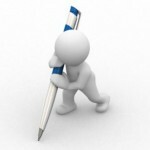 How do they know which type of recovery option will best suit theirs or their loved ones needs? Or how do they know whether or not that the online article they’re reading is really nothing more than just another sales pitch? 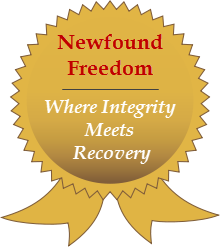 Newfound Freedom is creating this “Articles and Information” page as an unbiased resource for anyone seeking information on any facet of substance abuse, relapse, recovery, treatment, sober living housing and so on… We remain committed to the process of engaging in life-saving efforts for anyone who is, or has been touched by the dark world of addiction. 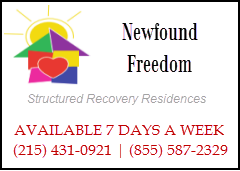 And while Newfound Freedom only offers locations in the state of Pennsylvania, this page is dedicated to recovery-related information far beyond any geographical boundaries!